Drawing inspiration from last month being World Mental Health Awareness Month, all proceeds going to the mental health charity - Mind. Drawing inspiration from last month being World Mental Health Awareness Month we have created this event. 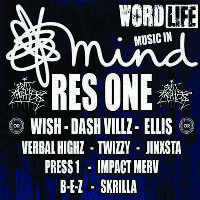 Consisting of sets from Steven Stone, Krazy, Res One, Twizzy/ Jinxsta JX/ Billy Whizz Saint, Entra P/ G00SE, Verbal Highz, Ben Bez Williams, Impact Merv, Press1 and Ellis at The Laneswith all proceeds going to the mental health charity - Mind.